Was your home burgled? Did you get locked out of your car or home? If so, you are not alone. These types of unexpected scenarios happen to thousands of peopleon a daily basis, and although they are stressful and annoying, a good locksmith that offers fast service can make a big difference. For that reason, Safe Lock Solutions is the best in the business. We take pride in providing the fastest, top quality ‘out of hours’ locksmith services. Armed with the technical know-how and state-of-the-art equipment, our expertise is unmatched in Liverpool. You can depend on us, anytime and anywhere, to help with your lock and key related emergencies. At Safe Lock Solutions we understand there is no time to waste when caught in an emergency. We are available24/7, including weekends and holidays for your convenience. One call and our uniformed technicians will be at your side right away. At Safe Lock Solutions, we strongly believe in transparency, integrity, and exceptional service. Apart from being a team of trustworthy 24 Hour Locksmiths, we offer a huge selection of services for residential, automotive and commercial. Our fully trained engineers are adept in tackling anything from cutting keys to the most complex intercom system. There’s more! We can perform safety audits and test all type locks to ensure they are in optimal functioning condition. Our experts also offer free estimates and advise for security enhancements and upgrades. At Safe Lock Solutions, the comfort and convenience of our client is a top priority. Our stellar customer service is backed by our guarantee, and we the current quality standards of the trade. Furthermore, we provide the best value for money. Our prices are highly affordable with no hidden costs. So what are you waiting for? 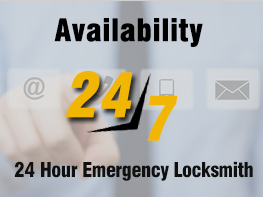 Contact us today at 0151 515 0123 to save time and take advantage of unbeatable 24-hour Locksmith services at very affordable rates.